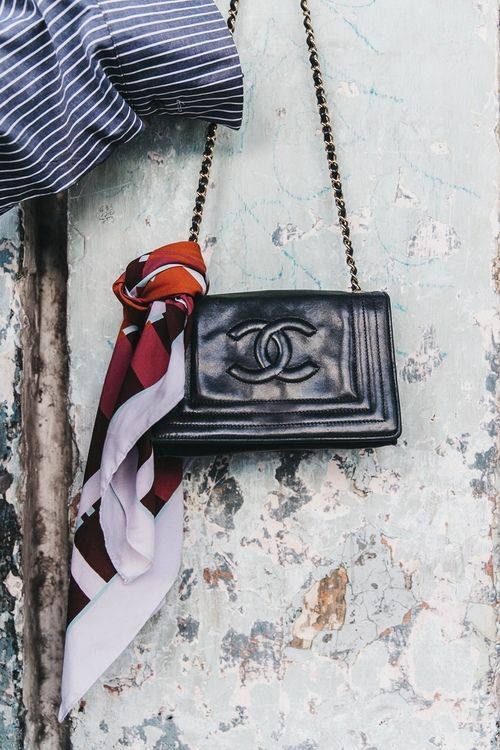 If you happen to have a bevy of beautiful scarves tucked away in your drawer doing absolutely nothing here’s a style suggestion. 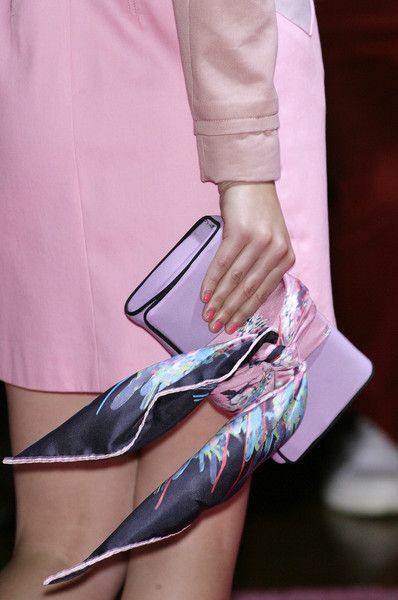 Why not take them out of hiding and tie them on your handbag. 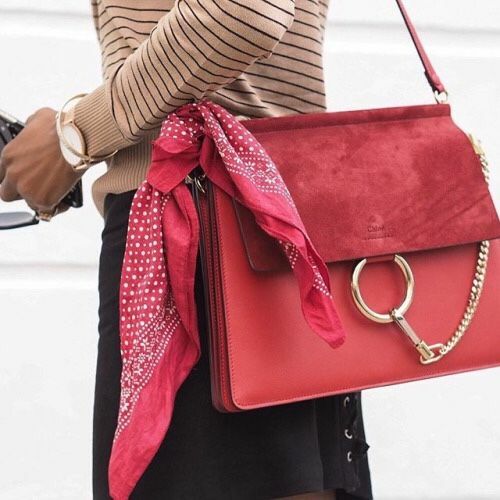 Not only does this solution get that beautiful scarf out of storage but it adds a much needed pop of color to your outfit. 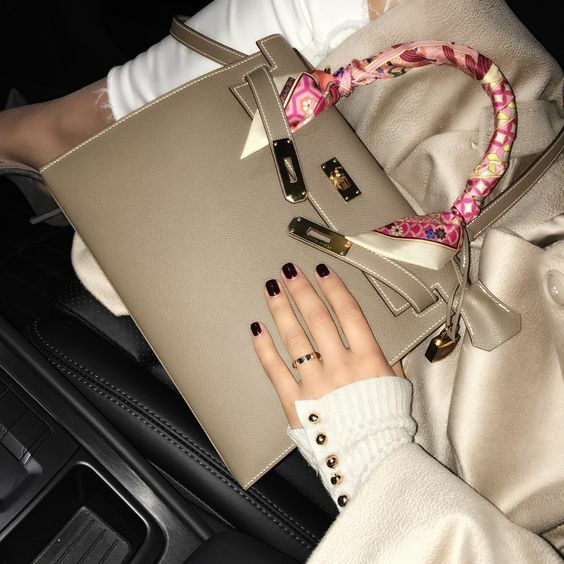 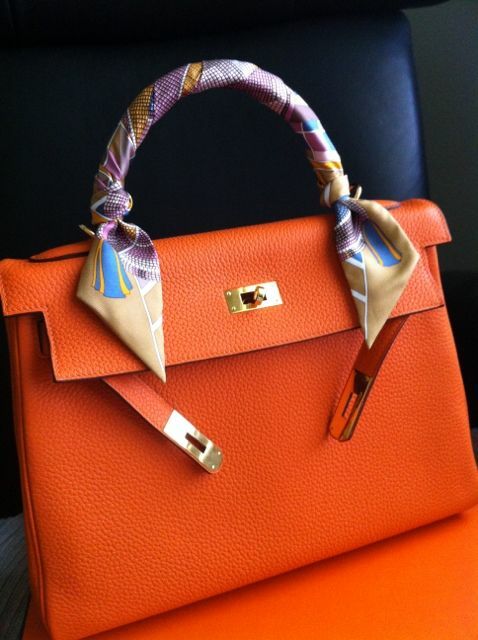 There are so many easy ways to adorn your handbag with a scarf and here are just a few easy suggestions that anyone can handle!